Recent decisions of the Supreme Court appear to create more uncertainty about the state of the law than settle the principles of law. As the highest Court of the land whose decisions are binding on all other courts, one would expect that the Supreme Court will be consistent on points of law so as to guide all other courts. But this has not been the case in recent years. Despite there being one Supreme Court, the state of the law keeps changing from case to case, from one panel of the Supreme Court to another, and even from the same Judges in different cases. The Court may at any time on its own motion or on the application of a party, order that any other person shall be made a party to the action in addition to or in substitution for any other party [emphasis supplied]. I have quoted ad longum from the Ruling so that the issues following may be better appreciated. In our view, the applicant does not come within the designation of “a party” within the meaning of rule 45(4) of the Supreme Court Rules. The said rule provides as follow… The above rule appears to be narrower in scope than the formulation contained in Order 4 rule 5(2) of the High Court (Civil Procedure) Rules by which the application for joinder is authorised to be made not only by parties to the action but “on application” presumably of any person. As rule 45 (2) only authorizes an order for joinder in the exercise of our original jurisdiction to be made either at our own instance or on the application of a party to a pending matter, which the applicant, unfortunately, is not, the applicant lacked the requisite capacity to bring the application for joinder. It is to be noted that four of the Judges who decided the Abu Ramadan case were on the panel in the Election Petition case (i.e. Gbadegbe, Dotse, Anin-Yeboah and Baffoe-Bonnie). What is intriguing is that the Court did not refer to its previous decision in In re Election Petition, which was referred to the Court in course of proceedings, and which decision was binding on the Court. Another example is the issue of whether a Court can relist an application which has been struck out without a formal application by the party seeking the relistment. 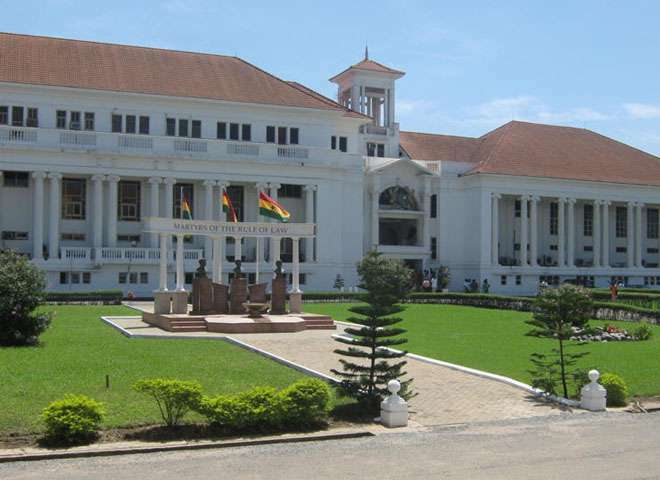 In Republic v High Court; Accra ex parte Eyiti,the Court (Coram: Atuguba, Akufo, Baffoe-Bonnie, Gbadegbe and Akoto-Bamfo JJSC), held, with Atuguba JSC dissenting, that in the absence of a formal application, the High Court had no jurisdiction to relist an application which had been struck out. In the same year that this decision was delivered, the same question arose in Westchester Resources Ltd v Ashanti Goldfields Ltd(Coram: Atuguba, Adinyira, Gbadegbe, Benin and Akamba JJSC). One would have thought that the Court will just apply its reasoning in the previous case or give reasons why it is necessary to depart from that decision. But that was not the case. 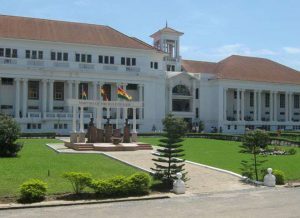 Atuguba JSC who dissented in the previous decision wrote the unanimous decision of the Court, and without referring the decision in ex parte Eyiti, held that a Judge has the discretion to relist an application which has been struck out without a formal application. Indeed, His Lordship added that this could even be done sub silento by dealing with the application as if it had not been struck out without formally relisting it. It must be noted that the Court did not even refer to the previous decision in ex parte Eyiti, although some members of the panel that decided Westchester Resources were also on the panel that decided ex parte Eyiti. Article 129(3) of the Constitution 1992 enables this court to depart from its previous decision. And it means the existing law must be clearly stated and the point/s of departure must equally be clearly stated, without equivocation. We concede that the time is long overdue for a volte-face from the age–old legal position of no agreement by all the parties, no adoption of previous evidence in civil cases, which the courts have unremittingly followed for decades. At this re-hearing, we will not tie ourselves to the existing legal principle, but liberate ourselves from its shackles…. This case provides us with the opportunity to utilise the jurisdiction conferred on us by article 129 (3) of the 1992 Constitution to depart from our previous decision in Awudome (Tsito) Stool v Peki Stool  SCGLR 681 which we find rather archaic, retrogressive and producing unjust results….The argument by the learned Editor against de novo hearing is so cogent and compelling that sound case management policy reasoning alone constitutes a sufficient basis for charting a new legal path in our jurisprudence. We would, therefore re-state the law relating to adoption of evidence in previous civil proceedings as follows. In civil proceedings, the ultimate question of whether or not evidence already adduced before a previous judge be adopted should not rest on the parties’ consent. It should exclusively be at the discretion of the new judge who takes over the partly-heard case. It is submitted that this is accepted constitutional means of departing from previous decisions. Where the Court departs from its previous decisions without reference to that decision or without giving reasons for such departure, the new decision will be deemed per incuriam as it would have been given against a binding decision of the Court. The Bar has a duty to assist the Court by submitting well-researched addresses to assist the Court in doing substantial justice. Cletus Alengah is a legal practitioner with interest in litigation and research. 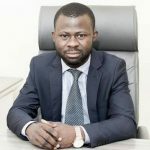 He assists in teaching Constitutional law and Administrative law at the University of Ghana Business School.